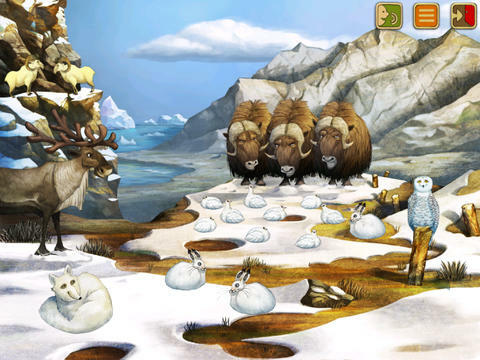 FREE today – North Pole – Animal Adventures for Kids. Have kids check out the animals in Santa’s neighborhood! This educational app features 3 interactive settings: the arctic, an iceberg, and eternal ice. Kids tap the animals in each scene to discover their sounds and hear interesting facts about them. Facts for each animal in are narrated in 12 different languages: English, German, French, Spanish, Russian, Swedish, Japanese, Chinese, Portuguese, Turkish, Dutch, and Italian. The app features cute artwork and is sure to delight little ones. Also FREE today – Africa – Animal Adventures for Kids.